BREXIT – New to our language in the last few years but unfortunately no news programme can go by without umpteen references to the will we won’t we discussions about achieving a smooth, hard or car crash of a BREXIT. 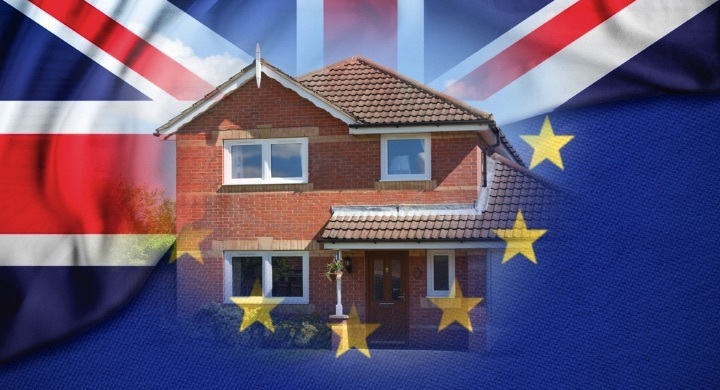 Whilst most of the discussions on the news is about the machinations of government, for the consumer there are the impacts upon them and this week we look at the Self-build property Industry and ask; Will BREXIT affect the self-build market? There are predictions of 5%-10% inflation and we will surely survive such inflation rates on building costs, if it remains a one-off but will we, the consumers, still have the confidence to embark on major building projects given all the uncertainties? The UK runs a huge trade deficit in building materials – and even many of the homegrown products are made using imported materials. By and large heavy materials like concrete, bricks and roof tiles are manufactured locally and so price rises here will be more muted but many of our more upmarket items are imported from the Continent. We asked BBC Radio Scotland Property expert and our Director Brian Gilmour some key questions on how and whether BREXIT will affect the Self-Build property market. Is it cheaper than buying a property? It will depend on what you’re comparing with but invariably building a home will be more expensive that buying an existing property. Where savings can be made however is if you are buying a home to have a large refurbishment and extension. There are tax advantages of building a new home instead of extending an existing one – for example new builds qualify for VAT rebates. Q How is a self-build mortgage different from a typical mortgage? Self-build mortgages are more like traditional banking facility or overdraft. You don’t get the money for the site up front. Invariably you will need to buy the plot and fund the planning application up front and then the loan itself will be interest only with drawdowns of the loan as each section of the construction is completed. Once the building is complete many lenders will then convert the loan into a more traditional style mortgage. Q What considerations should be made when finding the perfect plot? Consider whether a plot has planning permission or not. Without planning permission a plot will be cheaper however you have the risk that planning won’t be granted and you cannot develop on the plot. You also need to consider access to the main grids of electricity, water sewerage etc. Q There’s a well-known loop-hole that after 4 years if a property is not blocked by the council it can stay, can you explain why this method isn’t sound. Under s171B of the Town and Country Planning Act 1990, the local authority can only take enforcement action within four years of completion of any work which has been carried out without permission. If it fails to take action within four years then it loses its right to do so and though this does not technically render the wonder lawful, it is for all practical purposes. A house without planning can subsequently become difficult to sell, insure or mortgage. A Lawful Development Certificate can be used to cover properties that don’t meet standard planning requirements however if a council feel that a builder has deliberately concealed construction of the home to take advantage of the 4 yr rule, this can be withheld. Q What are the essentials? Have funds, identify your plot, have an architect and have a good team ready to build. Get a project manager or, if project manager yourself, keep on top of the timetable and budget.